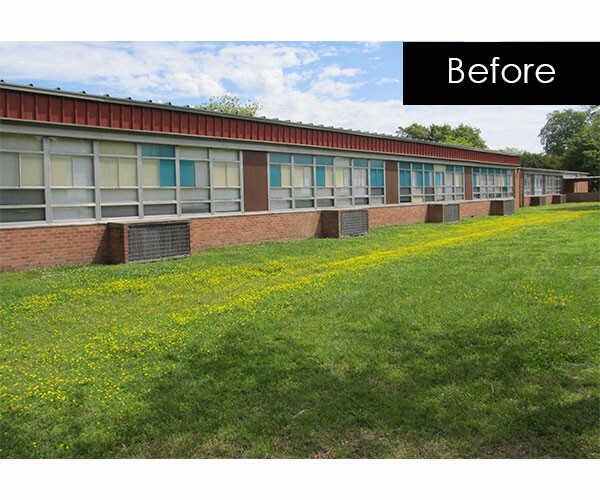 DJG designed the complete window replacement at both Tucker-Capps and Phillips Elementary Schools as well as the installation of new restroom exhaust systems. 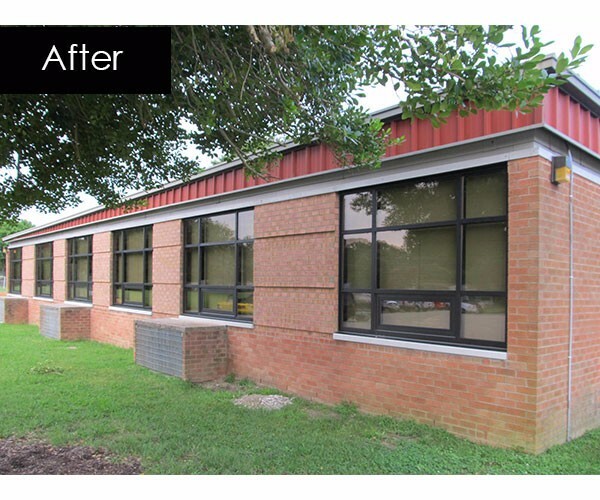 The design included the removal of the existing curtain wall window system. 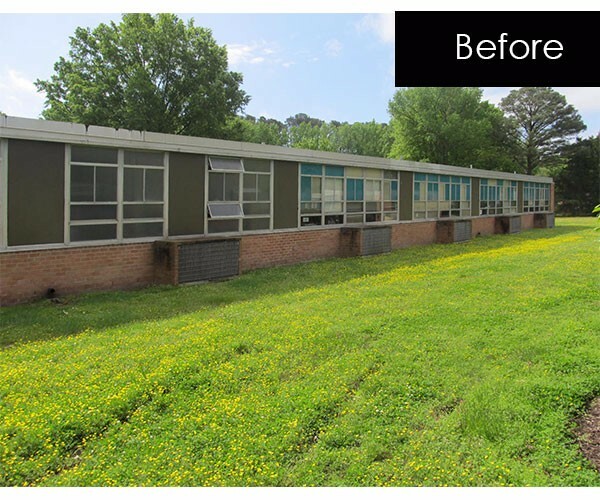 The existing continuous masonry openings were divided by infilling with 4” face brick over metal stud framing in order to update the building’s elevations with more modern-looking, punched openings. 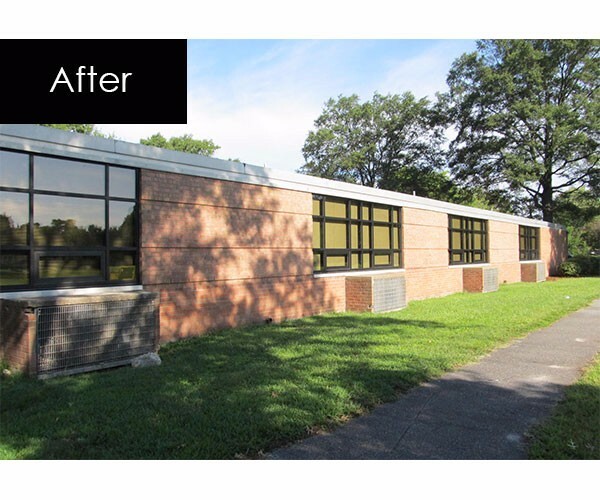 New bronze anodized aluminum window frames and bronze tinted, low-e, insulating glazing improved thermal performance in addition to the overall aesthetics of the buildings. New work also included new solid surface window stools (interior), cast stone window sills (exterior), and window treatments. Each school is 39,085 sf.